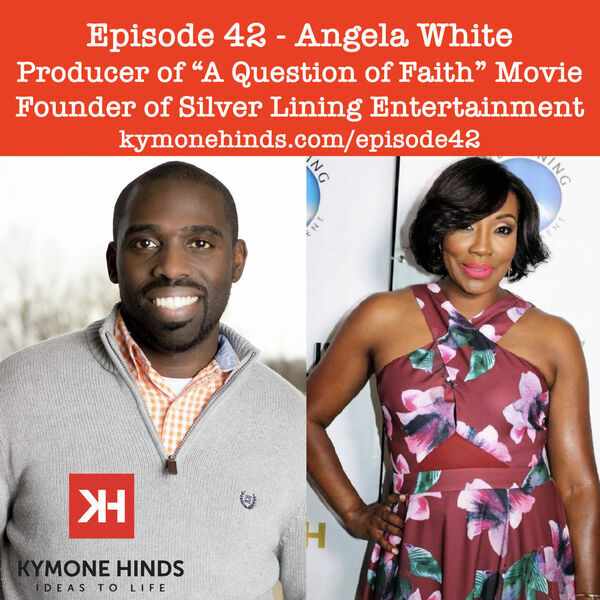 Angela White is the founder of Silver Lining Entertainment Company and the Producer of "A Question of Faith". This movie features a diverse cast and shares the story of tragedy to healing through forgiveness. Angela joins on this episode to share her journey in the entertainment business, the work she did as producer of this movie, and tips for anyone starting something new. Angela is the first African American woman to produce a Faith-based movie that has national distribution. Check out more information on the movie and see where it is showing in your area at AQuestionofFaith.com. Check out the show notes from this episode at KymoneHinds.com/Episode42. Please don't forget to subscribe, share and comment on this episode.